This practical resource offers comprehensive coverage of the entire electrical field and its equipment, including troubleshooting and repair. You'll learn how to read and interpret schematics and drawings and safely work with all electrical components and systems on the jobsite. 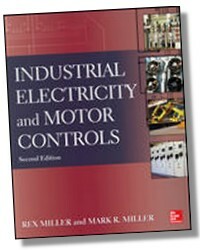 Filled with more than 650 photos and diagrams, study questions, review problems, and detailed answers, this career-building tool helps you enhance your electrical and electronics expertise and apply it effectively in the workplace. Rex Miller is Professor Emeritus of Industrial Technology at State University College at Buffalo, and has taught technical curriculums at the high school, technical school, and college level for more than 40 years. He is the co-author of John Wiley's Refrigeration: Home and Commercial and Air Conditioning: Home and Commercial. He is also co-author of McGraw-Hill's best selling Carpentry & Construction and the Electrician's Pocket Manual... author of more than 100 texts for vocational schools and industrial arts programs at all levels.